One thing I like about the old cottage at Lohja; the light inside the house can be pretty nice in the autumn. 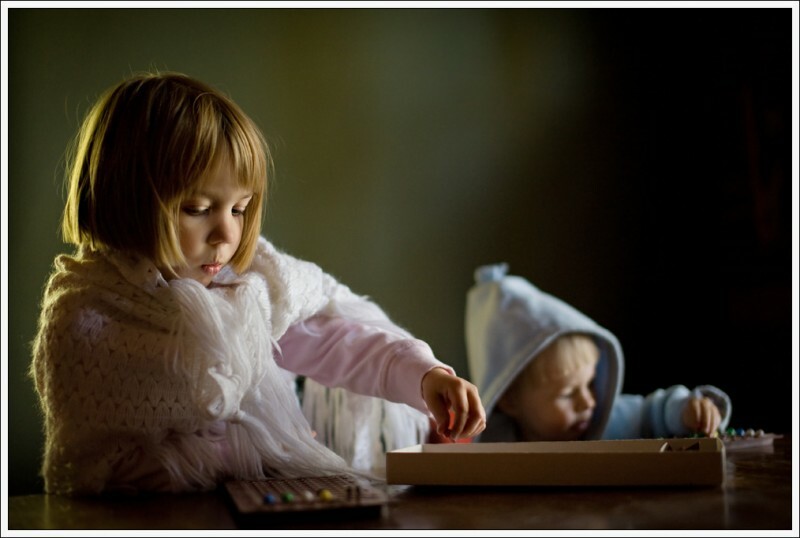 It’s exceptionally rare however to catch both kids concentrating on something like this AND get good lighting also. This moment lasted for about two seconds, after which there were a whole lot of bits and pieces from those Mastermind games to be cleaned up from the floor ..